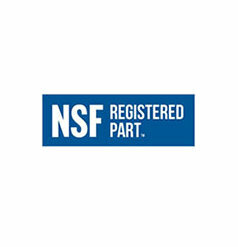 New NSF “registered” aftermarket parts meet a market demand, an NSF executive told the April Automotive Body Parts Association convention, according to a recent CRASH Network report. “I would love to be able to certify all these products…but at the end of the day, what the market is saying is we don’t have an appetite for certification,” NSF automotive certification global managing director Robert Frayer said, according to CRASH Network. Frayer told the ABPA convention that certified parts receive a manufacturer plant audit and “in-market testing,” but registered parts don’t, CRASH Network reported. 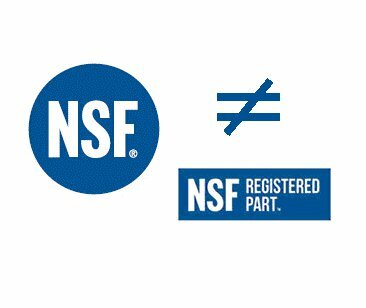 “Certified parts are eligible to bear the NSF mark which tells consumers and industry professionals that the part and the manufacturing facility have met the program’s stringent requirements,” NSF’s certification webpage states. Whether it’s appropriate to loosen standards and potentially confuse the market so vendors can save money is debatable, particularly given other aftermarket parts industry quality concerns raised by Frayer. A June 11 Autobody News report by CRASH Network editor John Yoswick found Frayer calling on the aftermarket parts industry to ensure imitation parts still allow advanced driver assistance systems to work. Autobody News also reported that Frayer said the company’s NSF distributor certification arose in part because distributors weren’t actually delivering NSF-certified parts a shop had ordered. NSF publicly discussed registered parts in April and in 2017, according to CRASH Network, and it has published multiple news releases touting registered parts. However, NSF declined Tuesday to answer questions about the program. “I have reviewed the inquiry with our team, and NSF has no comment on this question,” NSF senior communications specialist Ken Bearden wrote in an email. It’s unclear if the trademark could apply to more automotive parts than the rearview “devices,” — backup cameras — mirrors, TPMS technology and brake components. NSF announced its mirror registration in April 2017, a recognition that it said could be granted to mirrors with blind spot monitoring indicators or turn signals. Its first TPMS registration appeared in August 2017, and its debut brake-related registration was announced in October 2017. In March, NSF announced it had registered HUSHAN Autoparts backup cameras. NSF’s listings on Tuesday included scores of HUSHAN imitation rearview cameras for Buick, Chevrolet, Dodge, Ford, Jeep, Honda, Kia, Mazda, Nissan and Toyota vehicles. “Registration by an independent, third-party organization provides added assurance that rearview cameras on vehicles meet federal regulations while also functioning and fitting correctly,” Frayer said in a statement.